Got an early start. Very beautiful morning at Rocky Point. Its a great spot to see the sunrise over the lake and reeds. Took the side road along the lake front out to highway 140. 140 had a really wide shoulder, then no shoulder, then an adequate shoulder for the 2 mile climb. 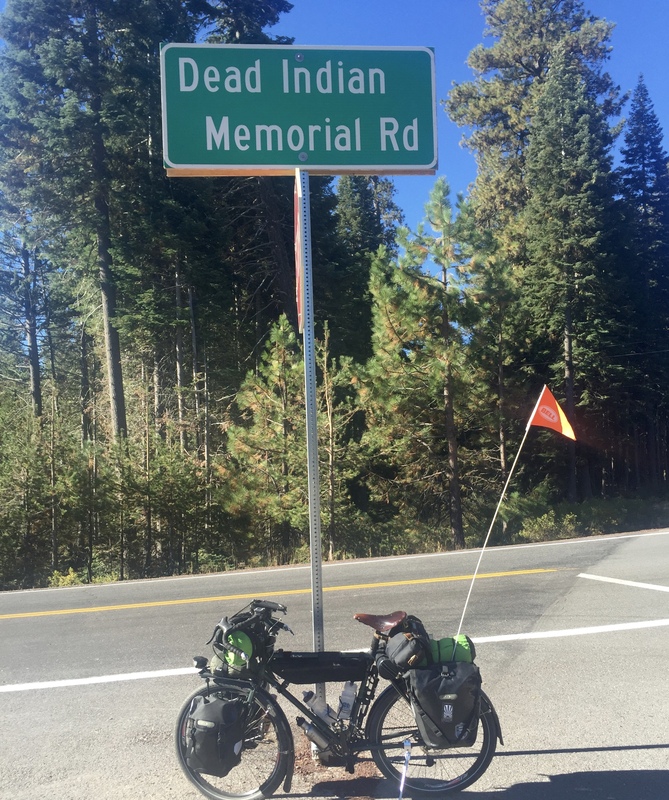 The climb was not steep` and soon I was at the junction for Dead Indian Memorial, the road to Ashland. It was still quite cool and shady in the woods but I was warmed up from the climb. I remembered why I like these woods so much. In the Coast Range and western Cascades the undergrowth is so thick you can't easily walk out into the woods. Here the woods are open and you can wander off anywhere, yet the trees are still good size with a mix of Doug Fir and Ponderosa Pine. I took it easy stopping a few times to eat and drink and enjoy the morning. Before I knew it I was at Lilly Glen horse park so I stopped for lunch, hung in my hammock, and played my Shakuhachi, before the final climb to Buck Prairie. The descent down into Ashland was spectacular. In all of my touring nothing matches this. The views of Mt. Ashland and the Siskiyous were breathtaking, as was the curvy mostly smooth road down. I was glad I had disc brakes and that I had tightened them a bit before the descent. 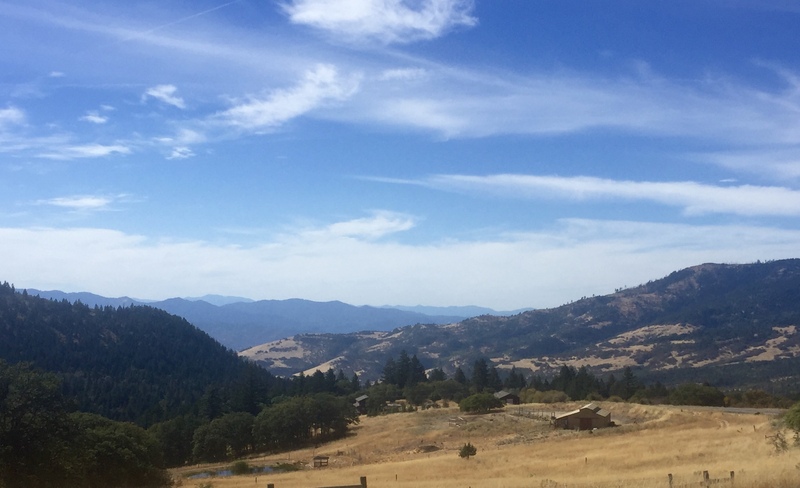 As Ashland came into view nestled against the mountains at the end of Bear Creek valley, I remembered what a scenic spot it is. 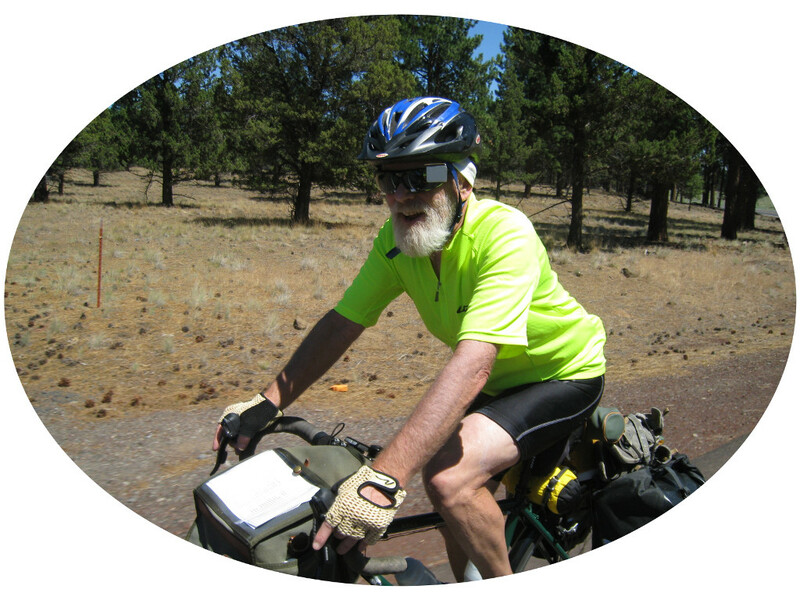 I always get emotional on bike tours, partly due to the physical exhaustion of riding everyday, and partly from the exhilaration from the spectacular climbs and scenery. So riding down a fabulous mountain road to a place I called home for 25 years, and where my kids grew up, brought up a lot of feelings. I could move back here. Its a great place and I have good friends here. Its an option I will have to consider. 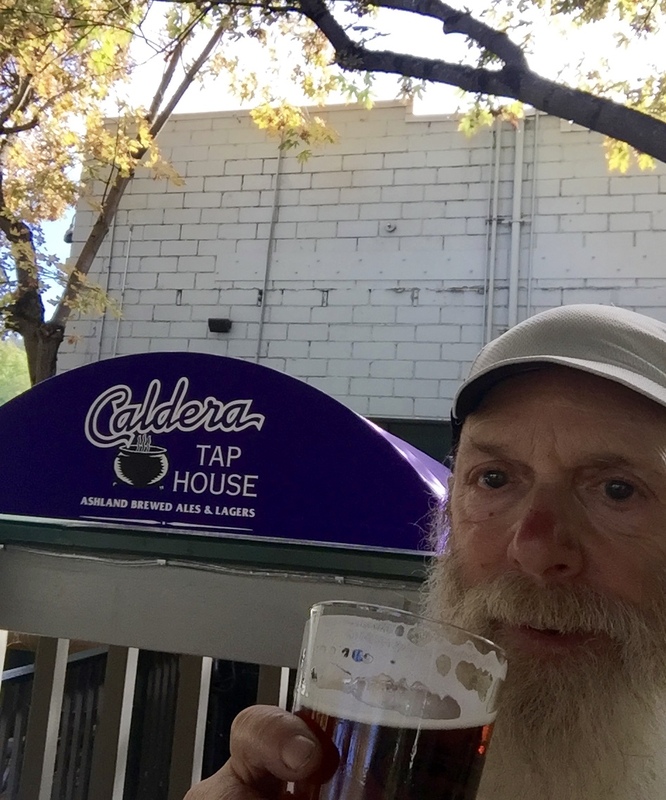 I rode through town directly to the Caldera pub and had a beer and second lunch. 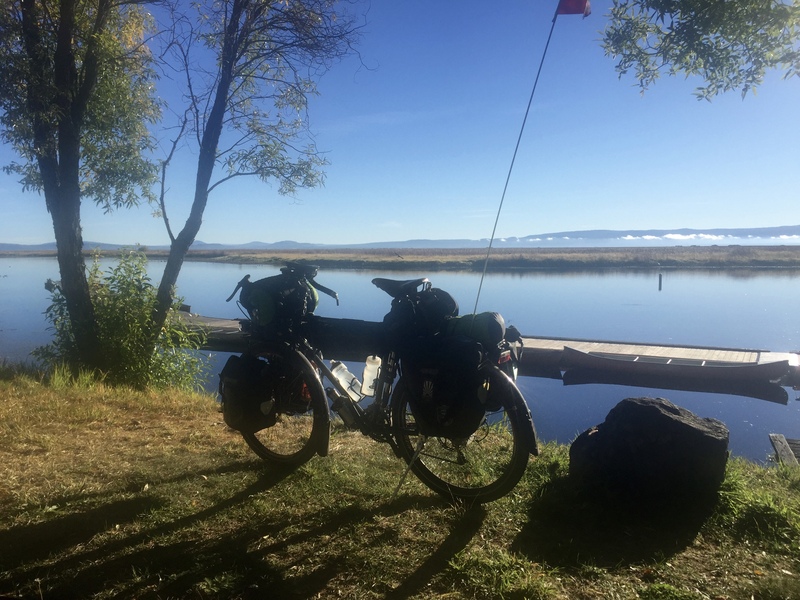 This is bike touring at its finest. Then proceeded to my hosts Dan and Ellen's house, which of course is on a street as steep as any of the mountain passes I rode over to get here. On my old home turf now. This road is till one of the best rides in the world. 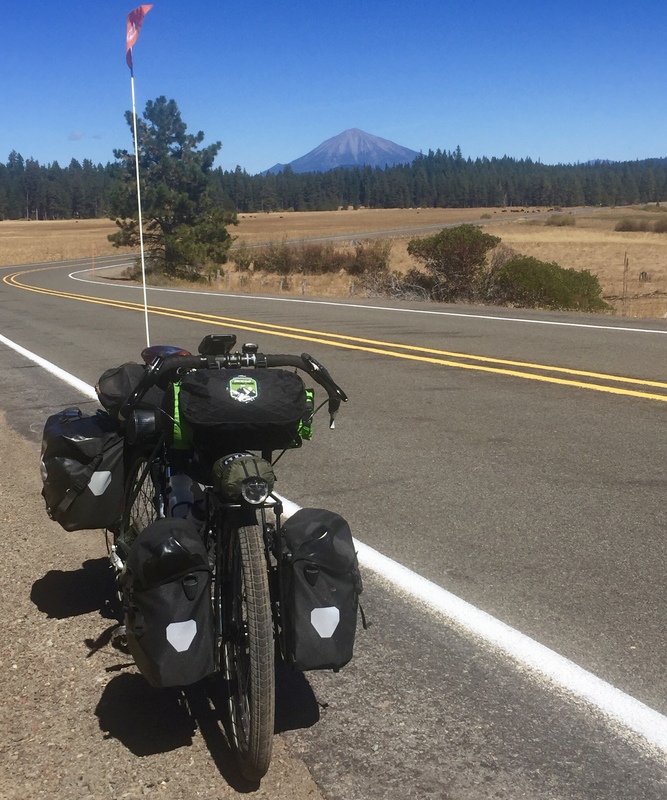 This really is the ultimate adventure touring bike, but I'm going to have to bite the bullet and go lighter next time. Nice cloud formations over Howard Prairie. Like all good bike tourists I headed straight for the pub when I hit town.